Whose ready to do some nerdy traveling?! Sci fi and fantasy has always been a huge part of my life. So picking five fictional vehicles to travel in was no sweat for me! 1. The Delorean. 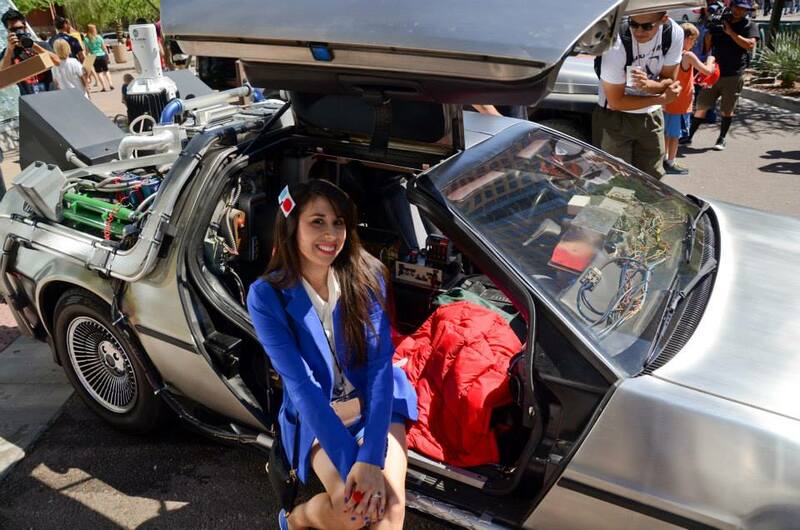 Since my very first cosplay EVER was Marty McFly, you KNOW that the Delorean had to be number one on my list! The Back To The Future trilogy is up there at the top of my all time favorite movies list! I love the first, but the second one has always been my favorite! 3. The Jurassic Park Jeep. Another ALL TIME favorite film! I MIGHT have screamed when I saw this on the street at SDCC 2015! I don't care how dangerous the park is...if it ever opens, I'll be on the first helicopter there! 4. The Independence Day UFO. THOUGH it would most likely make me sick...I would love to be a passenger with Jeff Goldblum! #nerdswoon. To see outer space would be an amazing and unthinkable dream. Also Independence Day is a top ten favorite flick of mine. Fingers crossed they do not mess up the sequel! What a fun topic! I predict a LOT of TARDIS and Hogwarts Express picks will be made! :) Tweet me so I can find out and RT your posts! Thank you for participating nerds...Super Space Chick will be announcing August prompts over on her site soon!! I want to take the train to Hogwart's! Yes! Love your picks! I immediately thought of the TARDIS and Hogwarts Express too! 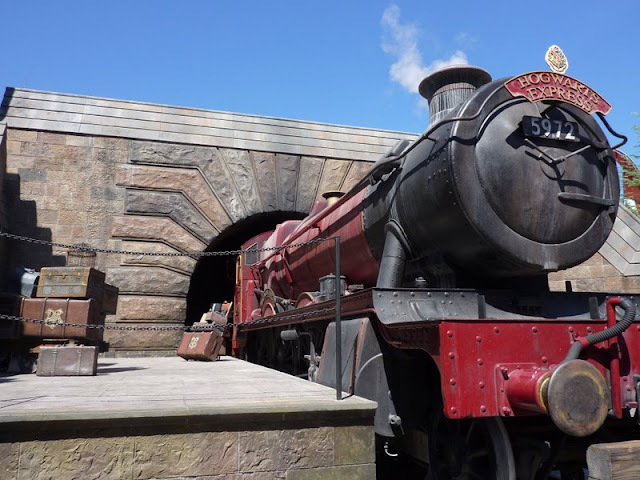 Surprisingly, the few posts I've gone around to so far have NOT had the Hogwarts Express. Yay the Jeep!! I didn't even think about it!! Excellent list! One of my neighbors has a tricked-out Delorean. I have yet to work up the courage to ask him for a ride, but I'm working up to it! And I have seen a lot of TARDISes on lists—mine included—but it's kind of the best of all worlds. Definitely jumping on the hogwarts express with you!! It's a good job the TARDIS is bigger on the inside because we all want in. Great list! I thought for sure the Planet Express Ship would be on here! You need a bonus ball! Jeff Goldblum<3 Good call there, catching a ride on the Independence Day UFO with him would be amazing! omg, I love that you put the Jurassic Park jeep on here! The Delorean was first on my list, too! *high five* I also, of course, included TARDIS. Jen and I both posted a list on my blog this week, for this prompt. It's SO GOOD. Oh and The Jurassic Park Jeep = epic! 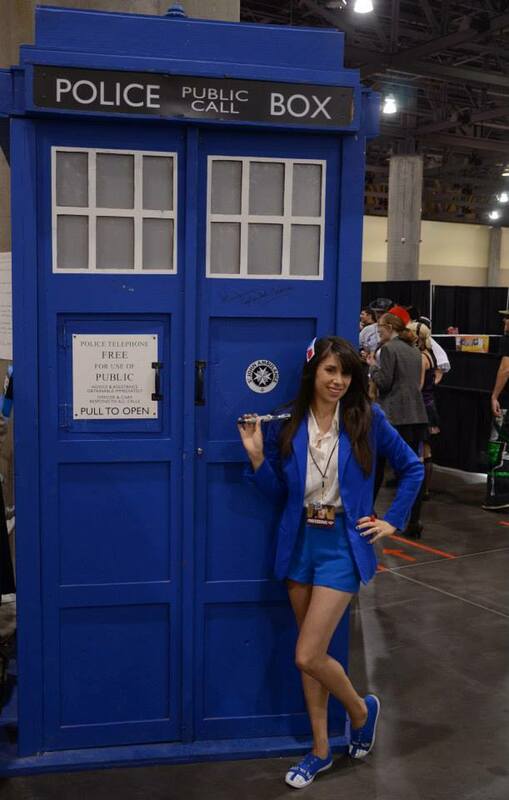 I picked the Delorean and the TARDIS too! Such great picks!! Why oh why I didn't put the TARDIS on my list, I have no idea! And the Jurassic Park Jeep - perfect! Oh fudge! I didn't even think of The Hogwarts Express. I can't believe that one escaped my imagination!